In medium bowl, mix flour, cocoa, baking powder, baking soda and salt; set aside. In large bowl, beat 1 cup softened butter and the granulated sugar with electric mixer on medium speed until fluffy; scrape side of bowl. Beat in egg just until smooth. Beat in 1 teaspoon vanilla. On low speed, beat in flour mixture until well blended. Divide dough in half; shape each half into a roll, 8 inches long and 2 inches in diameter. 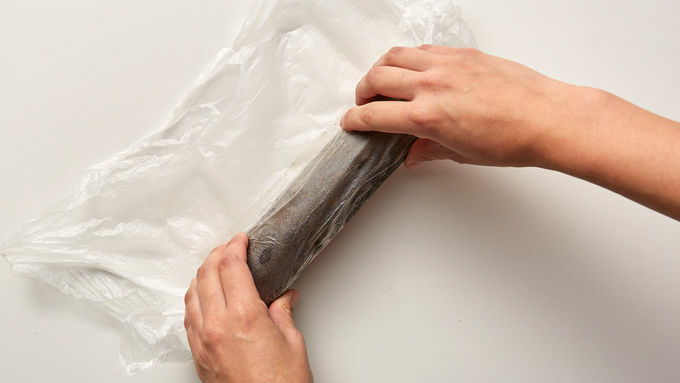 Wrap dough logs tightly with plastic. Refrigerate about 2 hours or until very firm. Heat oven to 375°F. 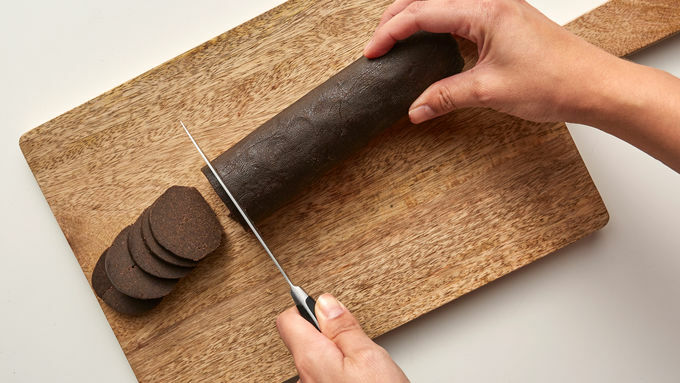 Unwrap 1 of the dough logs; cut into 1/4-inch slices. Place 2 inches apart on ungreased cookie sheets, reshaping if necessary. Repeat with remaining dough log. Bake 6 to 8 minutes or until edges are set. Cool 1 minute; remove from cookie sheet to cooling rack. Cool completely, about 30 minutes. To make marshmallow frosting, in large bowl, beat marshmallow creme, 3/4 cup softened butter, 1/2 teaspoon vanilla and 2 teaspoons milk with electric mixer on medium speed until blended. Beat in powdered sugar until fluffy. If necessary, beat in more milk, a few drops at a time, until spreading consistency. 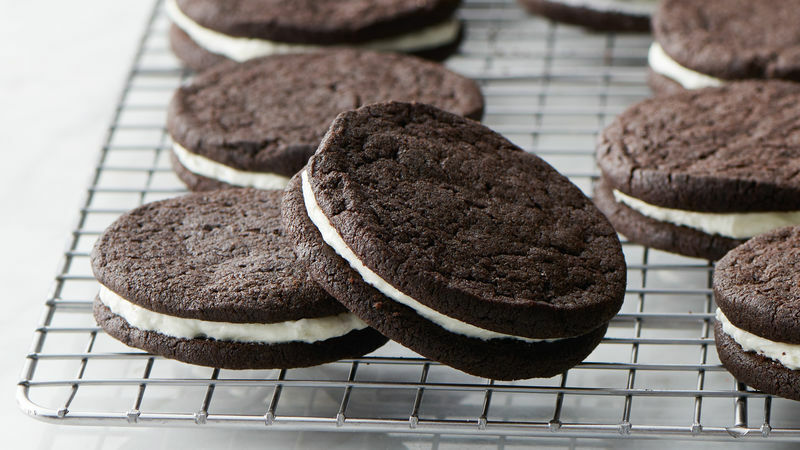 For each sandwich cookie, spread generous tablespoonful frosting on bottom of 1 cookie. Top with second cookie, bottom side down; gently press together. Store covered in refrigerator with waxed paper between layers. Cookie dough rolls can be wrapped and refrigerated up to 48 hours before baking. To freeze, place wrapped cookie dough rolls in freezer, and freeze until firm. Once dough is firm, make sure ends of plastic are twisted, and place rolls in large resealable freezer bag. Freeze up to 1 month. To thaw, let dough stand 30 to 45 minutes at room temperature or until easy to cut into slices. Remove plastic; slice, and continue as directed in recipe. For a nicely shaped cookie, rotate logs every 30 minutes during refrigeration or freezing until firm so dough remains rounded. Shape up your cookies! Rotate the roll slightly with each cut so the roll stays rounded.